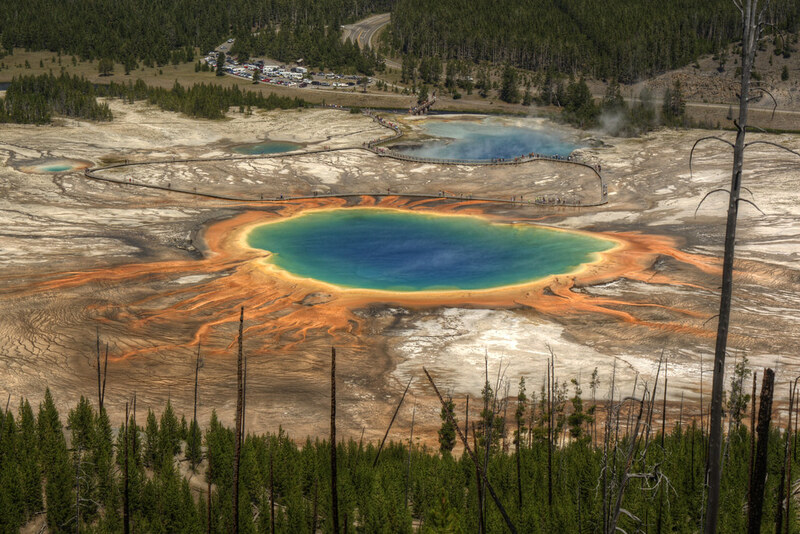 The word Grand is thrown around a lot by the National Park Service, yet what better word to describe it? 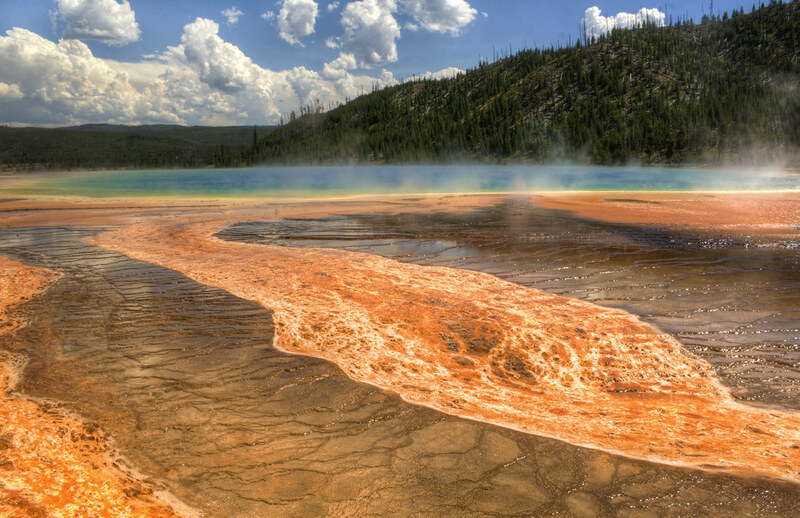 Yellowstone's Grand Prismatic Spring is the largest hot spring in the country, at 380 feet in diameter and 160 feet deep. 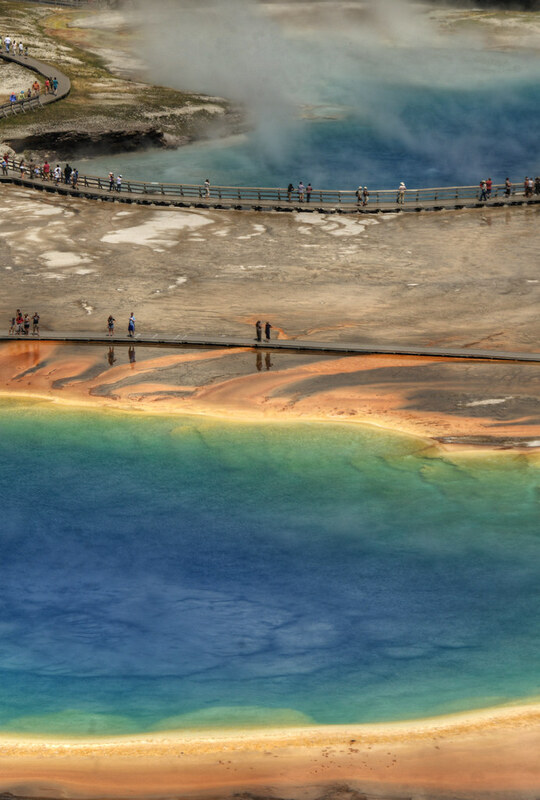 Those bright colors are due to the pigmented bacteria that grow in the microbial mats around the edge of the spring, where 180-degree mineral-rich water flows overs the sides at a rate of 560 gallons per minute. I remember seeing a picture of it when I was in fifth grade. At that age, my world was a sixty square mile patch of flat Indiana corn fields and small towns that John Melloncamp might sing about. 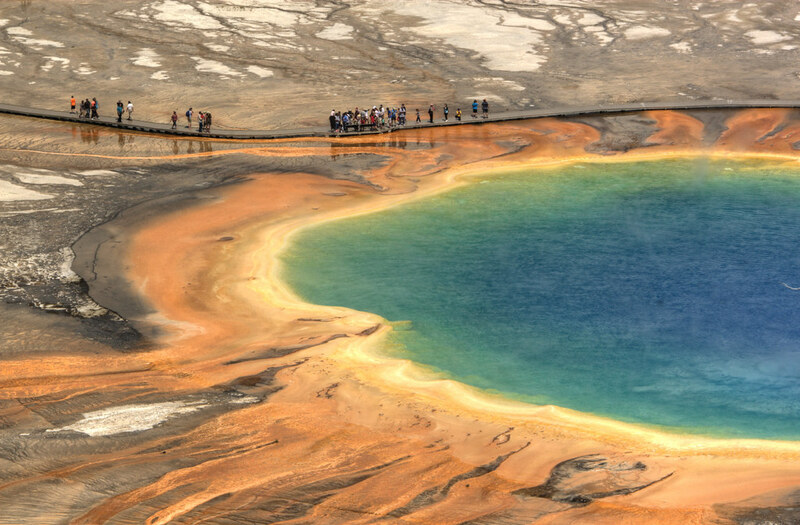 Photos of Yellowstone's colorful pools of boiling water, bubbling mud pits, and geysers shooting water into the air, were so different from what I was used to, that they might as well been photos of Mars or one of the moons of Jupiter. 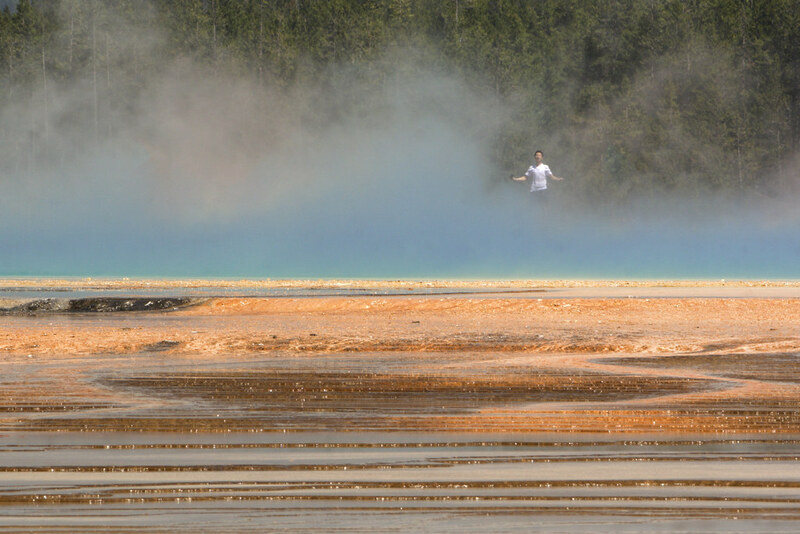 The picture I saw in my fifth grade classroom, was an aerial shot of the spring taken from a helicopter, so I had to get higher if I wanted to see it as I remembered it. I saw the hills along the backside of the spring and decided, damn the rules, I have to get up there. I climbed to the top of the first hill easily, but it wasn't high enough and trees were in my way. Beyond that was a second and, even higher, third hill, so I had to keep going. It only took a few minutes, but the hill was steep and covered in loose soil. When I got to the top, I was breathing heavily and wiping the sweat from my eyebrows, but I made it. Victory was mine! Then I saw the actual, and much easier, maintained trail going down the other side. I thought I was a rebel for daring to climb this hill for a picture, that I thought few would attempt, but nope, just an idiot. Oh well, I think fifth-grade Ryan would be happy to know that adult Ryan would one day do whatever it took to see it.